Port Bouvard Chiropractic focuses on treating the causes of physical problems, rather than just the symptoms. In essence, it is the relationship between the structure of the spine and the function of your nervous system and how that relationship affects your general state of health. 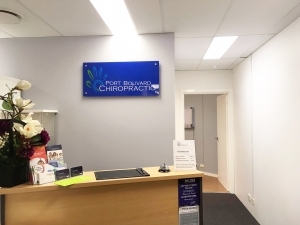 At Port Bouvard Chiropractic, our chiropractors utilize the finest equipment and latest treatment and diagnostic methods available. Our clinic practice provides you with answers to your problems based on a thorough examination, accurate diagnosis, and an appropriate management plan. The primary treatment that separates chiropractors from all other health professions is the chiropractic adjustment. There are various chiropractic techniques but one of the most widely used technique is called the Diversified technique. A short fast impulse is applied to a joint which causes an audible release, sometimes referred by patients as a “cracking sound”.